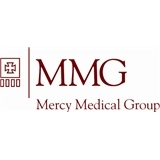 Mercy Medical Group at Dearborn Station (Chicago) - Book Appointment Online! Victoria is a very sweet lady and very professional! She checked out my baby girl with patience and ask detailed questions. Most importantly,the Clint room is very warm so my baby is feeling comfortable with clothes off for the scale and check up. Dr. Berman was professional, respectful of my time and listened well. I highly recommend him. She is absolutely amazing! I highly recommend her to anyone who wants a doctor they can trust!